Help When You Need IT ! 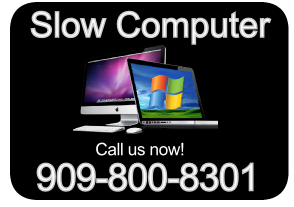 At Steve’s Computer Repair we know that you want your repair to be as fast and painless as possible. Our goal is to do just that ! We know it’s frustrating when your electronics are malfunctioning. Many of us depend on our computers and devices to get us through the day. Give us a call and let us handle your repair with speed and professionalism. 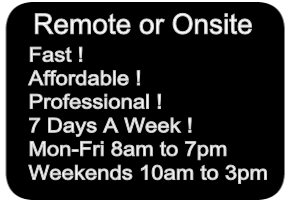 Steve's Computer Repair is proud to offer a wide range of onsite and remote computer services to home users and small businesses at affordable rates. 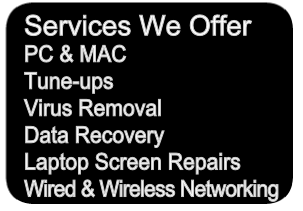 Use us once and you’ll never go back !